Our mission at East Coast Drilling, Inc. (ECDI) is to perform the highest level of quality drilling services at fair market competitive prices. We ensure the longevity of our company through repeat and referral business achieved by customer satisfaction in all areas including timeliness, attention to detail and service-minded attitudes. We maintain the highest level of professionalism, integrity, honesty and fairness in our relationships with our suppliers, professional associates and customers. ECDI has been in business since 1986. All field crews are led by a Licensed Driller with the knowledge and experience to ensure your drilling work and subsurface investigations are completed safely, on time and within your budget. We are enrolled and maintain an A-Plus Rating in ISNetworld and Avetta (formerly PICS Auditing) which are two organizations that rate Contractors from a Safety perspective. ECDI maintains and routinely updates a corporate health and safety plan. We have assembled JSA (Job Safety Analysis) or AHA (Activity Hazard Analysis) for every task we perform. 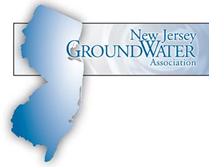 We are proud to report our EMR Rating is .850, .801 and .802 for the past three years. 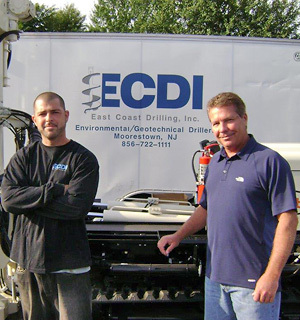 When you hire East Coast Drilling, Inc. for a subsurface investigation we are appreciative and understand we are part of your team, representing your company while performing the work. I personally guarantee our office and field staff will strive to provide professional services in realizing a successful project for you and your customer.